What’s Coming From America? The Light is Good. For a long time most of the world has envied America. For a long time most of the world emulated America. For a long time most of the world took advantage of America. Most of the world hates America. To cause so much of a reaction, there must be a lot of Light in America. That’s a spiritual law. But you can’t see Light unless it’s encased in darkness. That’s also a physical law. The two lower aspects Mah and Ban represents the union of Zeir Anpin (the 6 sefirot/dimensions of Heaven) and Malchut (our world), and thus aptly the 7 lines (sefirot) of Shem Mem-Bet, the 42-Letter Name, named thusly because the letters Mem (40) and Bet (2) = 42 in Gematria, the ancient science of letter valuation based on energy inherent in the Hebrew letters as first explained to us by Abraham, the Patriarch in his Book of Formation, the Sefer Yetzirah. Meanwhile, the first letters of Av-Sag (Ayin-Samech), the two upper aspects, add up to 130, the numerical value of the two synonymous words and thus concepts of Sinai and Sulam (ladder) thought by the sages to originate from the center of the Shem Mem-bet. You must bear in mind that the 42-Letter name, while arranged 2-dimensionally in our world as a 6-letter by 7 line matrix, is really a multi-dimensional one in the upper worlds. The combined numerical value of the representative letters (Ayin-Samech-Mem-Bet) is 70+60+40+2 = 172 and when we add 1 for the kolel, we get 173, as in 173 keys that the Zohar, the Book of Splendor written by Rabbi Shimon Bar Yochai around 130 CE, tells us were given to Moses, which is just a figurative way of saying he was given the secrets of the 42-Letter Name (the Ana B’Koach), which has the small gematria value of 173. The remaining letters (Bet-Gimmel-Hey-Nun) have a total numerical value of (2+3+5+50) = 60, the value of Samech, the letter hidden within the center of the Shem mem-bet, and the number of years of Israel’s existence as a nation when the USA reached 232 years of age (in 2008 CE). And interestingly enough, if we use the squaring principles of the Arizal and Rabbi Chaim Vittal of blessed memory, the four aspects of the Tetragrammaton sum up to 5742, and then if we add 26 for the original Tetragrammaton they emanated from, as the Arizal was apt to do, we get 5768 or 2008 CE. Alternatively, when we add up the spelled out gematria sofit values of Ayin-Samech-Mem-Bet and include the kolel of 16 for the 4 YHVH, we get 2448, as in 2448 HC, the year the Torah was given at Mt Sinai, 2320 years (or 232 x 10 sefirot) earlier. Then when we add up the spelled out gematria sofit values of Ayin-Samech-Mem-Bet together with their second letters Bet-Gimmel-Hey-Nun and the kolel for the number of letters in their spelled out names and also in the 39 letters of the 4 aspects of the Tetragrammaton, we get 3760 HC (0-1 CE). Now, the reason it’s said the letter Samech is hidden within the center of the 42-Letter name (Ana B’Koach) is that the value of the 21 letters through the midpoint of the 42 Letters add up to 1833 and there are 1833 samechs in the entire Torah. But here is a deep secret: The value of the Tetragrammaton (YHVH) is 26, which in Hebrew is Caf-vav (CV) and when we spell out Caf-vav for 3 iterations, we get (C+V) +(CP + VYV )+((CP +PE) + (VYV+YVD+VYV)) or (20 + 6) +(820 + 22) + (901 + 64) = 1833, so in the center of the 42-Letter Name is the ladder (sulam) to the YHVH, as has been told to us by chazal. In the 3rd verse in the Torah, G-d said “Let there be Light.” and the numerical value of that verse is 1729, which is significant because there are exactly 1729 words of numerical value 26, corresponding to the value of the Tetragrammaton, YHVH. We have proven time and again that the Torah could not have been written by man, 3330 years ago, or even today–it’s just too mathematically intricate. And contrary to popular secular belief the Torah was not written by several authors over hundreds of years. It was produced and given to us instantaneously, complete in all its glory, which is why the moment the thought of Light entered the Torah, there were 1729 instances of it’s reflection throughout the 5 Books. So after establishing the Light throughout the Torah, in the next verse, G-d establishes that Light is good, but also sets up a destiny that would happen 5536 years later, in the 111th jubilee year (Biblical 50-year period). We mention this because 111 is the numerical value of Alef, the first Hebrew letter, representing a beginning. And a very fitting one, since this destiny was hinted at in the 4th verse of the Torah and using the prophesied date of 5778 for the geula and coming of Moshiach, He would arrive in the 4th jubilee year after the 111th. Now, there are 6 letter alefs in the Torah’s first verse, which correspond to the 6 elufim (6 thousand years universally understood by religious Torah scholars) until the arrival of the Mashiach, which in actuality is 222, or 111 x 2, years less in the year 5778, and since 111 is the value of the letter alef, those 222 years are really 2 alefs. It is also the sum of the first 3 letters (BRE) in the Torah along with the primordial alef, 221 +1 = 222. So what was that destiny hinted at in the 4th Verse? America was founded in 1776, a number that is one more than 1775, the total sum of the 27 letters in the Hebrew alphabet (the alef-bet including the 5 final letters), but perhaps more significantly 1776 is the total value of the 4th verse in the Torah (Bible). OK, the 4th verse of the Bible connects to America and to Light, the 4 letters in the Tetragrammaton (YHVH), and to the 4 aspects of the full Tetragrammaton (YHVH), which are connected to pure Light and just maybe to America in 2008, when the darkness first descended upon it and as the 4th exile comes to a close, 4 jubilee years later. So isn’t it fitting that the 4th word in this verse is the 4 letter word, H’OR, “The Light,” that has been mentioned 4 times up to and including this 4th verse in the Bible? Coincidence, right? Is it coincidence too that 1776 = 4 x 444. Now let’s forget for a moment that the two times that “the light” is mentioned in this verse has the numerical value of 2 x 212 = 424, which is that of Mashiach Ben David, and let’s move on to examining this significant verse a little closer. Just about everybody knows that “the light is good,” which in Hebrew is “H’OR Ci Tov‘ (HEVR CY TtVB), and the sum of the words “The Light is (H’Or Ci)” is 242, which is the age the USA will be in the year 2018 (5778 HC), the year chazal has prophesied for the coming of the Mashiach (Messiah) and the final redemption (See The Divine Calendar for details), but setting that aside for now, the sum of the first letters of the words in the verse through the word Tov (good) is 42, as in the 42-Letter Name that we know from chazal will help bring about the Geula, final redemption, and/or the “end of days” as it is known. And while 242 can be looked at as the 4 aspects of the Tetragrammaton, 232, plus the 10 sefirot, alternatively, if we add the numerical value of Mashiach Ben David, 424, to the age of the US in 2018 (5778 HC), we get 424 + 242 = 666, the number chazal used to calculate the arrival of Mashiach Ben David in 5778. So how odd is it that 242 years is 4.2% of the 5778 years from Adam to the prophesied arrival of Moshiach? If you ask why 666, considering all the negative Christian connotations? Remember, the backbone of the Torah is the 6 sefirot of Zeir Anpin, which is why all but 6 columns begin with the letter vav of value (6) and 60% of all verses start with vav (6), but as the Arizal explains 666 is really just 2/3 and in a very simplistic reducti0n of the Arizal’s explanations, 2/3 of the way through the 6 sefirot of Zeir Anpin is where the emotional world meets the intellectual one (the head of Rachel connecting to heels of Leah 2/3 up into Tiferet). But back to the Light is Good. We discussed in our post regarding Chanukah about it’s lengthy associations with bringing Mashiach, and the first letters of the phrase “the light is good,” which in Hebrew is “H’OR Ci Tov‘ (HEVR CY TtVB), also hints at Chanukah. As the first two letters Hey and Caf are the last letter of the word Chanukah and have the numerical value 25, as in the 25th of Kislev, the first day of Chanukah each year. And the letter tet, has the value 9 as in the 9 candles of the Menorah (Chanukiya). This would probably be nothing more than a coincidence if the phrase wasn’t about light and in the verse first verse of the Torah discussing light and if the holiday of Chanukah wasn’t all about lighting candles. It’s also about the 42-Letter Name. 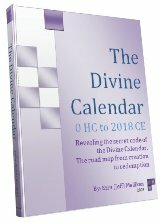 The 42-Letter Name has been utilized and concealed by the sages throughout the Mid-East and Europe for thousands of years, but its powers are only now being revealed for all to benefit from, and they are being revealed in America though web sites and blogs and books like The Genesis Prayer. So the fact that it is numerically linked to the birth date of the US should be no surprise. And so there is a curious equation derived from cubing the digits in the year of America’s birth, 1776, which is that 13 + 73 + 73 + 63 = 903, and 903 is the sum of all the integers from 1-42, which because in spirituality nothing is ever lost, 903 is the collective consciousness of 42. It is in the same way that the value of the first verse in the Torah, 2701 is the sum of all the integers from 1-73, which is thus the collective consciousness of 73, the numerical value of Chochma (Wisdom/crown). And likewise, the same holds for the first 8 words of the Torah equally 3003, or the sum of all the positive integers through 77, Mazal (fortune), so this is obviously more than a coincidence. It is a plan. It’s also very odd that 2701 – 903 = 1776 + 22, as in the 22 letters of the alef-bet, tying the Torah’s 1st and 4th verses together in an odd way. Light or “the Light” is mentioned only 7 times in the Torah and the total gematria value of those 7 mentions is 1701, which must be meaningful, because the total gematria value of the Torah’s first verse is 2701, and the total gematria value of the 42-letter Name is 3701, each increments of 1000, which in Hebrew is elef, the same word as alef, the primordial letter that preceded the Torah, whose component value is 32, as in the ordinal value of the word H’Or (the light) and as in the 32 paths of Wisdom that is the tree-of-life. So given these odd connections, let’s contemplate this next mathematical link between the 1st and 4th verses: 73 – 42 = 31, which corresponds to the value of El (G-d, 31) and to the 31 verses of the Torah’s first chapter. And then there is the equation 2701 – 903 = (1776 +22) = 1798 and 1798/31 = 58 = (100-42). Which brings us back to Chanukah, whose first two letters spell Noach, of numerical value 58, and whose last 3 have the numerical value of 31. Now 58 is the numerical value of Noach (Noah) and the Biblical word for flood is Mbul, which begins with Mem-bet (42), but there is an interesting secret embedded in the Torah’s first reading, Bereshit. As each column of the Torah scroll has 42 lines, the first chapter of 31 verses is written in 57 lines and the next two readings, which ends with Genesis 3:21 where the Lord banishes Man from the Tree-of-life, cover a total of 78 lines, which not only makes 57 and 78 written lines, but between them there are a total of 77 verses, aptly spelling out 5778, from Creation through the banishment from the Tree-of-Life reality. But back to America’s birth and its connections to the Mashiach and thus the end of days. Did you notice that 5778-1776 = 4002, which is both graphically 42 and numerically 40 (x10 sefirot) + 2 = 42, mem-bet? And then there are the factors of 1776 = 37*12*4, which is all very interesting because there are 12 words in the 4th verse and it loosely connects us to Genesis (Bereshit) chapter 37 in Torah portion Vayeshev, the 9th one in the Torah and the 73rd paragraph in it. Not by coincidence 73 is the numerical value of Chochma, (wisdom) the 9th or second highest sefira/dimension, and the inner light, or ordinal value, of the letters in Chochma (ChCMH) is 37. In Vayeshev, Joseph (The Light) and one of Jacob’s 12 sons has the dream alluding to them final redemption and is sold to the Israelites (the Arabs and/or Persians) partially because of it. First they wanted to kill Joseph (the Light) then they sold him, then he was brought down to Egypt (Mizra’im), known as “the darkness,” where he shined, faded, and kept hope alive for 210 years until the 2448, when the Torah was given. We learn right away in Chapter 37 that Joseph was 17 years old when he had his dream of Mashiach and the end of days, and 17 is the value of tov (good), bringing us back to verse Genesis 1:4 and the Light is good,”and if we count backwards 17 years from the final year 2018, we get 2001, as in 9/11 2001 when the bubble first burst on our illusions and the countdown to the final days began. And again, where did this happen? To better understand the process of these last 17 years for America and the world please see our post titled “Separation.” As we head into the darker days, this serves to remind us that the final outcome for those that believe in the Light is tov (good). We could go on and on, but suffice to say, there are reasons for everything, even for the darkness, and candles of light that were lit 5768 years ago will glow ever more intense the darker it gets. The candles were lit for America, the country that for all its many faults, was created in, and for the most part lived by, the premises of freedom. And thanks to America, people throughout the world have the freedom to choose the light. For all their hatred of America, if it were not for America most of the world would live under oppressive dictatorships, modern day Egyptian Pharaohs, and not know freedom at all. 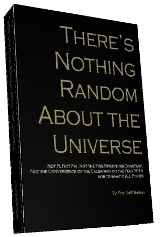 Author Jeffrey MeilikenPosted on December 26, 2008 Categories RevelationsTags "the there was light", 173, 1775, 1776, 232, 2448, 42, 42-letter name, 5778, 666, 903, alef-bet, Ana B'Koach, chanukah, end of days, final redemption, gematria, Genesis 1:3, geula, Israel, jubilee year Genesis 1:4, Mashiach, Mem-bet, moses, Moshiach, Mt sinai, shem mem-bet, Sinai, Sulam, Tetragrammaton, the light, the light is good, YHVHLeave a comment on What’s Coming From America? The Light is Good.